Levidrome has hit Reddit in a big way. Reddit is a discussion group with images and topics which are voted up or down by other members. Reddit has a number of subreddits of various specific topics. One of the more popular subreddits is photoshopbattles with over 13.7 million subscribers. At Photoshopbattles, people submit photos and other members manipulated the photos in unique ways in forms of comments with an image attached. Then the user community votes for the best comment. Photoshopbattles also have weekly Contests and Operations. The next contest entry is decided by the winner of the current contest. Operations, however are decided by the moderators of photoshopbattles. Photoshopbattles delivers a weekly "Operations" contest with a specific theme. Their current Operation is called Levidrome. It will be really fun to see the entries. Levidromes in pictures, and knowing the photoshopbattle community, there will be some pretty creative pictures. 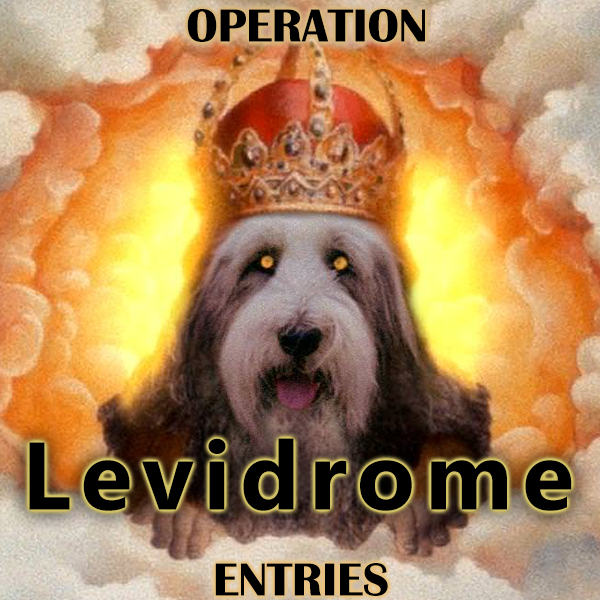 The Operation image displayed here is of the levidrome (Dog, God). Part of the fun will also be to vote for the best image. We are proud to have an extensive list of levidromes. We are proud to be able to provide lists in multiple languages. However, we are humble to say we have all known levidromes. Just look at the Tweet William Shatner posted on September 24th, 2018. Serutan, a levidrome with the word "natures". 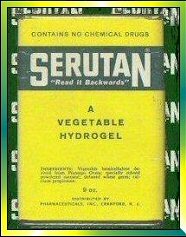 It was a laxative used between 1930 to 1960. We are assuming since it was an older product it never ended up in our word lists. Who knows how many more levidromes are out there. Way to go William Shatner! We have found another creative use for a list of words and in our particular case a list of English levidromes. 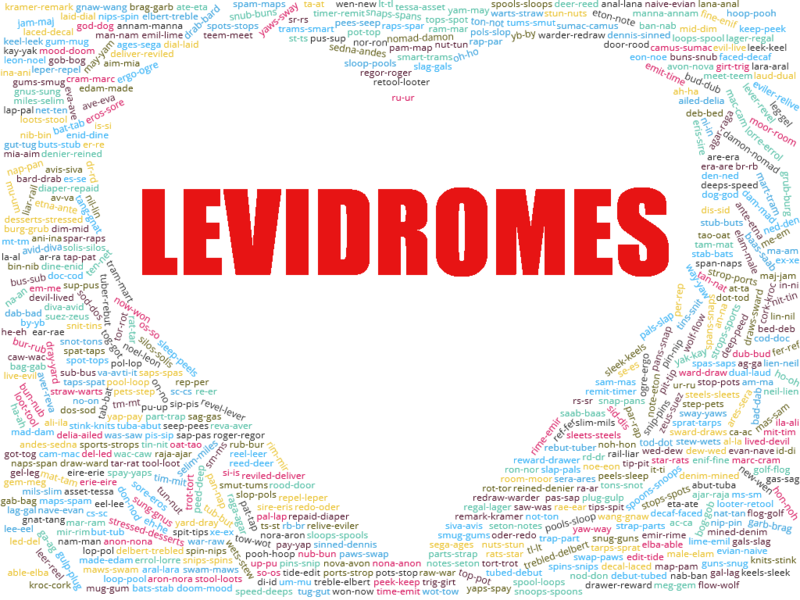 We have created a word cloud (also known as a "tag cloud") of levidromes pairs! This was accomplished with help from the website https://www.wordclouds.com. It was really easy to put together. Click on the image on the left or here to see the final word cloud image of levidromes. This is the same definition which appears in the Wiktionary submission.